Vaccine use has skyrocketed in the last 30 years. Speak with virtually any medical doctor and they’re more than happy to provide a long list of reasons they think children should be vaccinated. Current American Academy of Pediatrics recommendations state that children should receive 24 vaccine doses by the age of 15 months and 49 doses by age 6. Included in those recommendations, the medical establishment even recommends that parents begin vaccinating their children the day they’re born for a disease, Hepatitis B, that is transmitted sexually or thru shared needle use. Who knows why? Because the misinformation surrounding vaccination is so extensive, many parents don’t even question whether or not they should vaccinate their child. However, parents should view these as very major decisions. The lifelong health and well-being of their child may depend on the critical decisions parents make in this area. A logical look at disease and vaccine statistics may surprise many. Unfortunately, most people are not exposed to all the facts before they’re convinced to inject vaccines. In every mature decision we make in life we need to consider two things: The potential upside gain, if all goes well, versus, the possible down-side risk. 2 Effectiveness: Have vaccines been proven to work? 3 Safety: What are likely or potential unwanted side-effects? The term vaccine comes from vacca, the Latin word for cow. In 1796 the first modern vaccine was created when diseased infectious material from cow pox, a disease affecting cow’s udders, was injected into humans to protect them from smallpox. Unfortunately deaths from smallpox rose dramatically about 20 years after the vaccine became compulsory. In the US and England, the death rate from Pertussis (whooping cough) dropped from about 60 deaths per thousand in the mid 1800s to about 2 per thousand in the early 1950s, even before the Pertussis vaccine was used. Deaths from measles from the mid 1800s until the 1963 introduction of the measles vaccine fell at a nearly identical rate. In both cases, even before the introduction of the vaccines, the death rate from these diseases had already fallen approximately 97%. According to international mortality statistics, from about 1925 until 1955, the 30 years before the first polio vaccine was invented, the polio death rate had already dropped about 50% in the US and England. However, in the year immediately following the introduction of the polio vaccine, the death rate from polio rose significantly. Government statistics reported by the Associated Press in 1955, the year after the polio vaccine was invented and widely administered, stated the death rate from polio increased,on average, 530% in the states of Vermont, New Hampshire, Massachusetts, Connecticut and Rhode Island. Fortunately the rate later continued on the downward trend that began decades before the vaccine was introduced. Polio has since essentially disappeared in the US and throughout Europe, even in the European countries that had no mass vaccination programs. Internationally respected pediatrician, Dr. Robert Mendelsohn believes that the disease simply ran it’s course. The 1850s appear to be the turning point when death rates from many infectious diseases began to drop sharply. I think this is directly related to 2 important milestones. Based on groundbreaking research from Hungarian physician, Dr. Ignaz Semmelweis, and later confirmed by Luis Pasteur and Joseph Lister, doctors became aware of the existence of germs and the life saving benefits of washing their hands between patients. Then around 1900, municipalities began disinfecting drinking water. When these 2 aspects of basic modern hygiene became the norm, data clearly demonstrates death rates from infectious diseases plummeted, long before most vaccines were introduced. Research from 1913 Nobel Prize winner in medicine, Dr. Charles Richet, demonstrated that hay fever, asthma, anaphylactic shock and other inflammatory allergic reactions were often caused by reactions to undigested proteins in the bloodstream from injected vaccines. Ask your doctor if she has even heard of this groundbreaking, 100 year old research. Then ask them why they were never taught about Richet’s work in medical school. The answer is: because Big-Pharma doesn’t want it taught. Some researchers now believe that trace proteins from peanut oil, a common ingredient in many vaccines, is the likely cause of, otherwise unexplained, deadly peanut allergies. This explains why children who have never before eaten peanuts can experience deadly reactions the first time they eat the food. It’s probably because their immune systems were already in hyper-drive reacting to undigested peanut proteins that had bypassed the digestive tract – being injected directly into the bloodstream It’s also totally consistent with Richet’s discoveries. Like Richet’s Nobel winning research, unbiased studies from qualified researchers are desperately needed so the general public and medical communities can get accurate data on which to base informed vaccine decisions. Part 2: Vaccine Effectiveness, Do They Work? Because vaccines are used predominately on our children, most people assume that all vaccines have been subjected to thorough trials and rigorous studies proving that vaccines are effective and safe. Parents have wrongly been told, as demonstrated in the history portion above, that mass vaccination campaigns ended multiple epidemics around the world. However, taking the time to logically review pro-vaccine assertions, we find that they lack solid scientific backing. Not only has there never been a single long-term scientific study comparing the health and welfare of vaccinated to unvaccinated children, multiple examples can easily be found of vaccinated children acquiring the very illness they have been vaccinated against. Even if parents find out about the risks of vaccines on their own, their doctors usually assure them that the risk is worth the almost certain, alleged benefit of freedom from infectious disease, that their child supposedly receives. 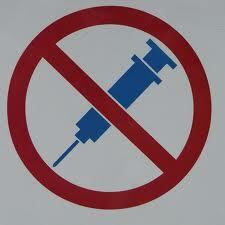 However, time and again, vaccines have simply not worked against the diseases they are targeted to prevent. A 1978 survey of 30 states showed that more than half of all children who contracted measles had been fully vaccinated. Sweden abandoned its whooping cough vaccine after it examined 5,140 cases of whooping cough in 1978 and found that 84 percent had been vaccinated three times. A 1990 Journal of American Medicine Association article stated that “Although more than 95 percent of school-aged children in the US are vaccinated against measles, large measles outbreaks continue to occur in schools and most cases occur among previously vaccinated children.” The medical literature is filled with example after example of the failure of vaccination to furnish protection against common childhood diseases. To sum up their answers: There is no way for a doctor or layperson to know if the flu shot being administered matches up with the flus that are actual threats in any given year. The years when it doesn’t match up, it will provide zero benefit. CDC says scientific testing of flu shot effectiveness would be unethical. The CDC claim that years when the vaccine matches up with the actual flu threat, “it’s possible to measure substantial benefit”. Notice they don’t say benefit has been measured. The only way benefit could be scientifically measured would be with a placebo controlled double blind study, ie. administer the vaccine to some while administering a placebo to a statistically similar control group. The CDC website states that studies of this type are not done because it would be unethical to knowingly deprive some people of the flu vaccine. Further, they don’t define the words substantial benefit. Would a substantial benefit be a 5, 10 or 50% reduction in flu cases? They don’t say and the intelligent among us are left guessing what they might be implying. They have to say in general, because they have no definitive studies. But it’s ironic that people most at risk from serious flu complications, the elderly and the very young, are the ones who can expect the least benefit. And any possible benefit would only occur during years when the vaccine and the flu are a match. But, since for so-called ethical reasons, they won’t do any truly scientific testing, we’ll never know if any of their theories have any validity at all. From another, so-called, authoritative source, The National Network For Immunization Information, the answer to the simple question:Because of better hygiene and sanitation, hadn’t diseases already begun to disappear before vaccines were introduced? Their answer directly contradicts all official public health data available which clearly demonstrates that many diseases that vaccines were created to eliminate had already been reduced by 97% before the vaccines were even invented. Plus, after reading their answer, any thinking person would have to ask the question: why would improvements in hygiene and sanitation improve all diseases except those that are “vaccine-preventable”. Their assertions don’t pass a basic sniff test and are equal parts asinine, sad and possibly criminal, if we traced their funding sources. The experts have confusing, convoluted answers inconsistent with accepted historical data But rather than accept the possibility that the system of vaccination could be seriously flawed, the medical industry simply calls for “booster” shots and re-vaccination, without any solid, long-term studies to see whether immunity is actually achieved and, if so, for how long. So if you are trying to intelligently do your own risk\reward analysis about whether or not to vaccinate, can you be really sure what the reward is? The CDC certainly isn’t and they claim it would be unethical to do scientific studies to find out. Most doctors are happy to administer whatever vaccine producers claim is safe but are reluctant to discuss the fact that these for-profit vaccine manufacturers are legally protected from lawsuit should their products prove to be harmful or deadly. They can pump out anything they want with no financial risk at all. I can think of no other for-profit business that is absolved of all legal liability for the safety or effectiveness of their products. Mainstream medical professionals offer no proven explanations of why autism rates have risen to 1 in 50 except to say those outrageously high numbers can easily be explained away solely by differences in reporting methodology Additionally, serious ADD issues, acute allergies and asthma rates have all substantially increased in kids in the past 30 years, according to Center For Disease Control and The American Lung Association, with no reasonable explanations from medical professionals Maybe we need unbiased scientific studies? In 2011 a study was published in the peer reviewed journal, Human & Experimental Toxicology, exposing the alarming relationship between vaccinating and infant mortality. Of the 34 countries studied, the United States ranked 34th (worst) in infant mortality and topped the list for the most vaccines administered under one year of age. The countries of the world that vaccinated least had the lowest infant mortality and the countries that vaccinated the most had higher rates. To aid vaccine makers, Congress removed legal liability from them for damage done by unwanted vaccine side-effects. This occurred after the manufacturers testified the financial impact from injury awards stemming primarily from the DPT triple vaccine (diphtheria, pertussis and tetanus) had threatened their existence. However, because the possibility of severe harm or death resulting from vaccines was so obvious, in 1988 Congress set up an alternate system for vaccine victims to receive compensation. It is commonly known as the Vaccine Court. To date the Vaccine Court has awarded over 2.5 billion dollars to victims of serious vaccine side effects. However, it’s a no-fault system. So while the evidence may prove someone was damaged from a tainted vaccine or even one that performed as designed, the vaccine makers pay nothing. It’s ironic to note that the vast majority of vaccine injury awards in the Vaccine Court have, so far, been for children suffering DPT vaccine brain injuries and deaths. There is a huge volume of evidence proving that side effects from vaccines are far more serious and common than the vaccine manufacturers admit. Since the manufacturers downplay the truth, there is almost no way for most doctors to find accurate data. It’s well documented that Big-Pharma provides high dollar grants, typically in the tens of millions per year, per school, for most major medical schools in the US. Doctors are indoctrinated during their years in school with no way of knowing who is controlling the facts they are coerced into memorizing. Only 4 out of 158 US medical schools ban drug company reps from their campuses. To more thoroughly understand vaccine consequences and effectiveness I would recommend the three resources offered at the end of this article. Western medicine operates under the assumption that synthetic, genetically engineered drugs and vaccines heal the sick and protect the young from disease, an assumption that parents are expected to accept without question. But when it comes to your child, you are the expert most qualified to decide what is best for your child, using your intelligence and common sense in the same way we fight for our right for real food. Abundant beneficial bacteria in the gut are a major part of the human immune system and essential for optimum health. We’ve all heard of people who are prescribed antibiotics from their doctor and for months thereafter catch every bug that goes around. This occurs because the antibiotics indiscriminately kill all bacteria, good and bad, thereby disrupting an important part of our natural defenses. Digestion and immunity problems after using antibiotics can usually be averted by ingesting premium “probiotics” to re-seed the gut with essential bacteria following antibiotic use. The 60 trillion beneficial bacteria deep in a healthy human gastrointestinal tract, help prevent invading pathogens from ever reaching our bloodstream by creating a living shield inhibiting pathogens including E. coli, salmonella, unhealthy yeasts and other threats, from penetrating the intestinal lining and reaching the bloodstream. The friendly bacteria also help manufacture essential nutrients like vitamins B-12, K-2 and many immune enhancing compounds. Further, good bacteria play a vital role in the digestive process by breaking down food so it can be absorbed through the intestinal wall. The Importance Of Breast Milk In Protecting The Newborn From Infection Is Now Recognized Worldwide. It’s the single best thing any mother can do to enhance her baby’s immune system Specific and nonspecific factors are transferred to the newborn through breast milk and colostrum. The most important role for breast milk in host defense against infection appears to be the supply of local protective factors to the infant’s gastrointestinal tract. In the US, back in the 1950s, many misguided doctors regularly recommended feeding infants laboratory prepared, store bought formulas because it was thought to be more “ hygienic and scientific” than breast feeding. However, lab created imitation formulas do nothing to enhance immune system strength. Fortunately, the American Academy of Pediatrics now recommends breastfeeding for the first 12 months of life. Nutritional Deficiencies: A poor diet has also been shown to increase susceptibility to many diseases, including polio. In 1948, during the height of the polio epidemics, Dr. Benjamin Sandler, a nutritional expert at the Oteen Veterans’ Hospital in Ashville, North Carolina, documented a relationship between polio and an excessive use of sugars and starches. He compiled records showing that countries with the highest per capita consumption of sugar, with over 100 lbs per year, such as the United States, Britain, Australia, Canada, and Sweden had the greatest incidence of polio. In contrast, polio was practically unheard of in China, with its sugar use of only 3 pounds per person per year. Dr. Sandler observed that children consume greater amounts of ice cream, soft drinks, and artificially sweetened products in hot weather. In 1949, before the polio season began, he warned the residents of North Carolina, through the newspapers and radio, to decrease their consumption of these products. That summer, North Carolinians reduced their intake of sugar by 90 percent and polio decreased by the same amount. The North Carolina State Health Department reported 2,498 cases of polio in 1948, and only 229 cases in 1949 (data taken from North Carolina State Health Department figures). One manufacturer shipped one million less gallons of ice cream during the first week alone following the publication of Dr. Sandler’s anti-polio diet. Soft drink sales were down as well. But the powerful Rockefeller Milk Trust, which sold frozen products to North Carolinians, combined forces with soft drink business leaders and ran a PR campaign to convince the people that Sandler’s findings were a myth and the polio figures a fluke. By the summer of 1950 sales of high sugar products were back to previous levels and polio cases returned to “normal”. Cause and Effect or A Casual Correlation? I cannot say for sure. But certainly Dr. Sandler’s observations combined with the North Carolina health data from 1949 and 1950 create a powerful theory that should absolutely be investigated further. I would also suggest supplementing with the amino acid glutathione several days before and after vaccines are administered. Glutathione is a powerful antioxidant that can help the liver clear toxins. Opting Out: The Choice Is Yours….For Now. As of 2011, all 50 states have enacted vaccine laws that require proof children have received certain vaccines in order to attend daycare, middle school, high school and college. However, in most states citizens currently have the legal right to opt out of using vaccines. All 50 states allow a medical exemption to vaccination (medical exemptions must be approved by an M.D. or D.O. ); 48 states allow a religious exemption to vaccination; and 18 states allow a personal, philosophical or conscientious belief exemption to vaccination. However, also be aware that vaccine exemptions are currently under attack in every state because the wealthy and powerful Big-Pharma/Medical Industry lobby is trying to take them away, especially the religious and philosophical or conscientious belief exemptions. All Americans need to know options for legally opting-out of vaccinations, but also need to know why it’s so important to protect this legal option, whether or not you choose to use every government recommended vaccine for yourself and your children. In the US, whenever reports come out about a few cases of whooping cough, measles or other diseases, why is it seldom definitively reported whether or not the affected kids had been vaccinated? That information could be very helpful but it doesn’t seem that public health officials want us to have it. A New Term To Hide the Truth: Rather than share straight talk about whether or not a sick kid has been vaccinated, health officials now often use the term, unknown status. I don’t accept that as a good-faith effort to find the truth. My family was once the target of a health department vaccination investigation and I can tell you with certainty, that when health officials really want to know vaccination status, they find out, quickly and definitely. Vaccine makers already have 95% of the the market sewn up. If they did scientific safety and effectiveness studies with the hopes of capturing the last 5%, and those studies ended up proving that vaccines were ineffective or unsafe, it would be devastating to their bottom line. Unfortunately, that’s why we’ll never see truly scientific studies. Vaccine makers don’t want them US. government oversight agencies have made it their policy to blindly accept everything Big-Pharma claims to be true about vaccine safety and effectiveness. Before you choose whether or not to vaccinate yourself or your child, you should do a logical, benefit to risk assessment . What are the proven, likely or possible benefits? What are the proven, likely or possible side effects? Most medical doctors are not equipped to help you much here. You will need to educate yourself. The NVIC and the following two books can provide a thought provoking counterpoint to the predictable mainstream medical information your doctor will invariably provide.